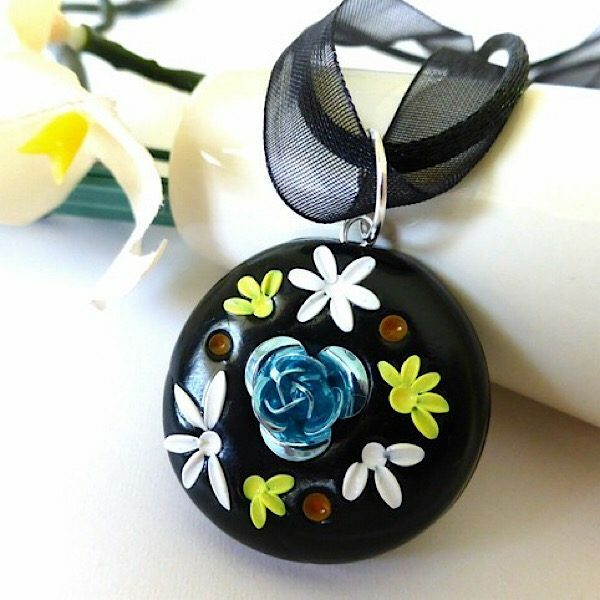 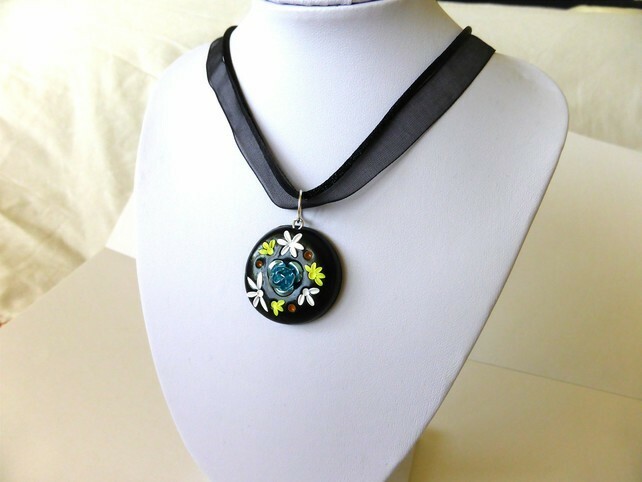 Black round pendant necklace with flower design. 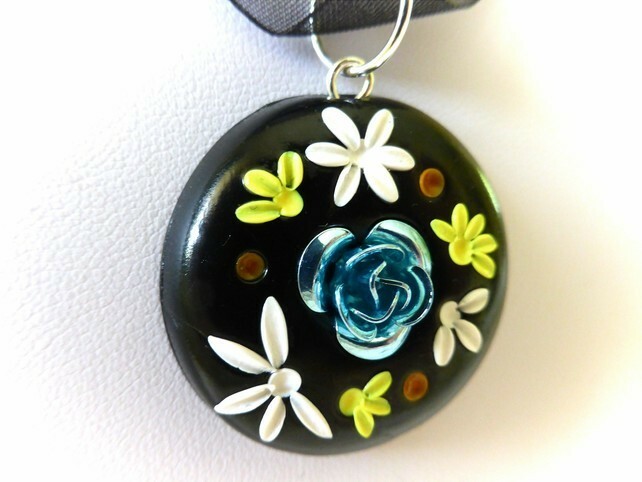 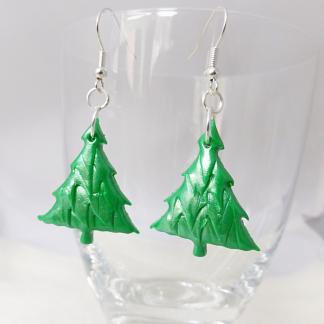 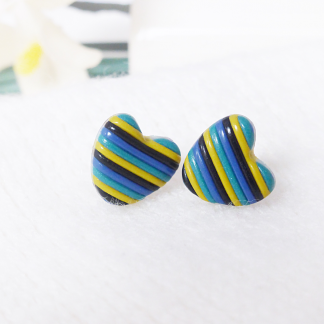 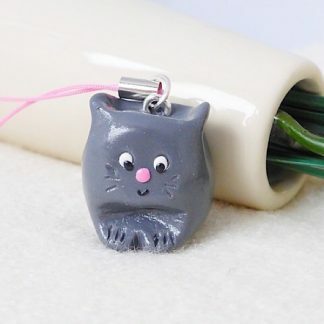 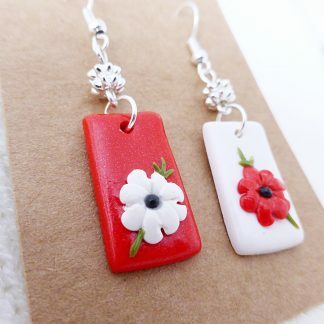 A delicately decorated pendant lovingly handcrafted from Polymer Clay. 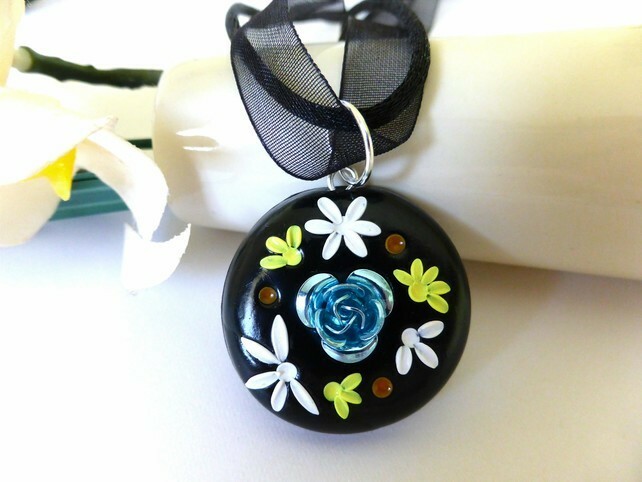 I have used a light blue rose charm for the central feature. 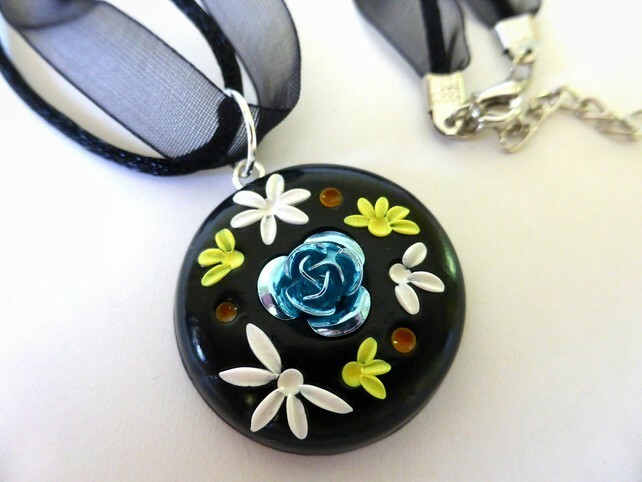 To finish I have added a black ribbon cord which closes with a lobster style clasp.